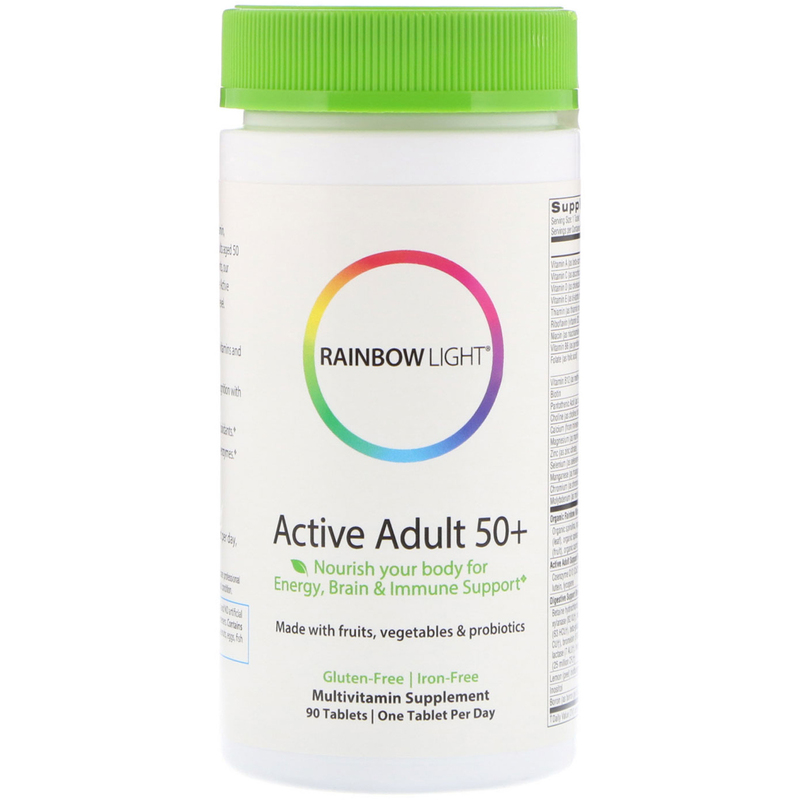 Nourish your body with our comprehensive multivitamin, formulated to support the unique needs of active adults aged 50 and beyond. It delivers clinically researched ingredients, our rainbow blend of fruits and vegetables, plus a unique Active Adult Support Blend to fuel your vitality at a cellular level. 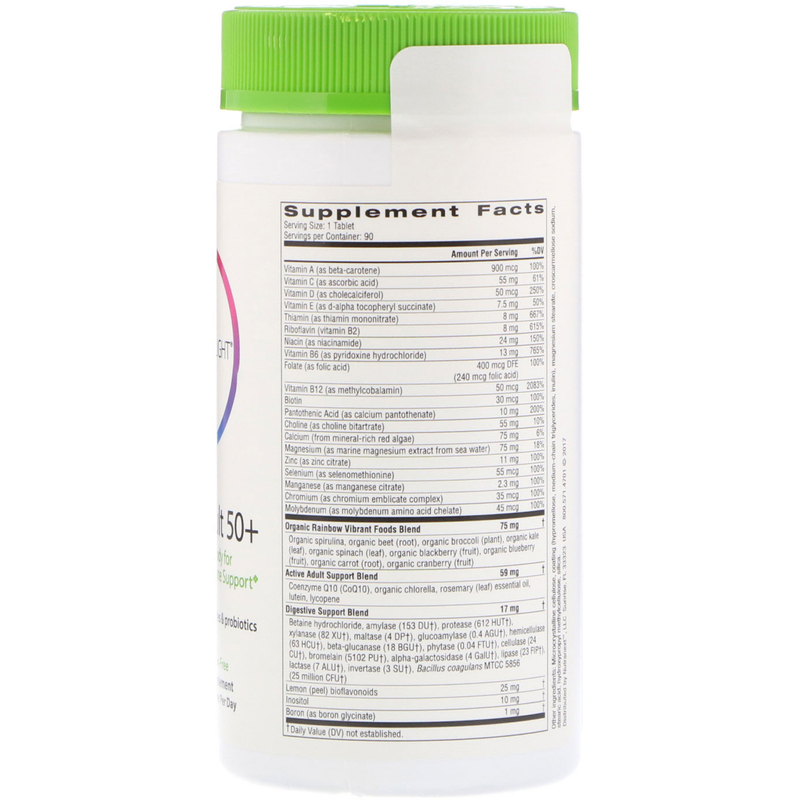 Supports bone and immune health with a range of vitamins and minerals plus CoQ10, lutein and lycopene. Promotes energy production, healthy nerves and cognition with high potency B vitamins. Supports healthy aging and cellular health with antioxidants. Microcrystalline cellulose, coating (hypromellose, medium-chain triglycerides, inulin), magnesium stearate, croscarmellose sodium, stearic acid, hydroxypropyl methylcellulose, silica.